NHS England’s National Clinical Director for Cardiovascular Disease Prevention looks at the NHS Long Term Plan and its ambitions for preventing heart attacks and strokes at scale. Prevention is at the heart of the NHS Long Term Plan – because getting better at prevention is essential if the NHS is to be sustainable as a world leading health service. In addition to substantial commitments to tackle obesity, alcohol and smoking, the Plan includes a major ambition to prevent 150,000 strokes and heart attacks over the next ten years by improving the treatment of the high-risk conditions – hypertension (high blood pressure), high cholesterol and Atrial Fibrillation (AF). Why the focus on CVD? Because it affects 6 million people, accounts for a quarter of deaths in England and costs the NHS £7 billion a year; because it dramatically cuts short lives and leaves thousands of people disabled every year; because it’s a major cause of health inequalities, being much more common in areas of deprivation; and because it is largely preventable. Of course, reducing lifestyle risks like smoking, obesity, poor diet and physical inactivity are key to prevention. But the NHS also needs to improve in detection and management of the high-risk conditions. The most recent report from the Global Burden of Disease Study looked at how much premature loss of life and disability could be prevented by tackling key risk factors. Not surprisingly, smoking is the number one risk, responsible for a fifth of early death and disability in the population. But the report highlights that blood pressure and cholesterol are also amongst the top risk factors. Together, the impact of these conditions on life expectancy and disability is as harmful as smoking. We know that treatment of the high-risk conditions is very effective at preventing heart attack, stroke and dementia. Despite this, late diagnosis and under treatment is common. For example, four in ten people with high blood pressure are unaware they have the condition and the risk to their health; and even when diagnosed, four in ten people treated for hypertension do not have their blood pressure controlled to target. Partly this is because these conditions are usually silent with no symptoms indicating there is a problem or that treatment isn’t working. And partly, it is because today’s GP consultations are complex and time pressured. Most patients now have several long-term health problems: it is normal for GPs to deal with 2-3 issues in an average 10-minute consultation and it is not feasible to closely monitor every condition in every consultation. If we compare the UK to other leading economies, we can see the potential to do better. The Commonwealth Fund Report 2017 showed that the UK performs very well in some key areas of healthcare, for example in access and equity, but in health outcomes our performance rating is amongst the lowest. Much of this is explained by poor outcomes for people with CVD. So, what can we do to improve the management of the high-risk conditions and become world leading in the prevention of heart attacks and strokes? Firstly, under the Plan, we will see substantial funding for new multidisciplinary teams across primary care networks, with pharmacists, nurses and others working across practices, doing things differently to improve outcomes for patients. This will include working with practices to identify and optimise treatment in people with high blood pressure, high cholesterol and AF. Where this has been tried already, for example in Lambeth and Southwark, Dudley and West Hampshire, there has been substantial improvement in rates of diagnosis and optimal treatment– at the same time freeing up clinical time for GPs. To support this approach, NHS England will commission a regular national primary care audit, called CVDprevent, making it easier for practices and primary care networks to systematically identify people whose treatment could be improved, and risk reduced. Secondly, as has been done successfully in Canada, the NHS will forge new partnerships with pharmacies, employers and voluntary sector organisations like the British Heart Foundation and the Stroke Association to make it easier for people to ‘know their numbers’ with increased access to blood pressure testing on the high street and in the workplace. Alongside this, improving uptake and follow up in the NHS Health Check will provide a systematic method for identifying people with undiagnosed risk factors and supporting them to reduce risk to their long-term health and wellbeing. CVD is a leading cause of premature death in England, and for those who survive, it often results in devastating life changes for the individual and their family, with substantial cost to the NHS, social care and wider economy. This is why CVD prevention is now a national priority. Built on a historic funding settlement, the NHS Long Term Plan is a game changer. It lays out how we can prevent thousands of heart attacks, strokes and other cardiovascular conditions every year by investing to do things differently and build new partnerships and new support for primary care. The Plan brings huge opportunity for us to improve the health of our patients and communities at scale, and in so doing, for the NHS to become a world leader in prevention. Matt Kearney is NHS England’s National Clinical Director for Cardiovascular Disease Prevention and a GP in Shropshire. He has been working for both NHS England and Public Health England since 2013, building programmes to improve primary and secondary prevention of cardiovascular disease. 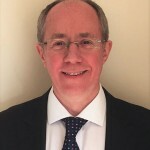 In particular, he has focused on driving system change to help the NHS to get serious about prevention of heart attacks, strokes and other vascular conditions – through clinical leadership, better use of data, collaboration with charities, local authorities and others, and new ways of working that support primary care to improve outcomes for patients and communities. Previously Matt worked as clinical and public health advisor to the Department of Health respiratory programme, and was a member of the NICE Public Health Interventions Advisory Committee from 2005 to 2013. He has a Master’s Degree in Public Health and is a Fellow of both the Royal College of GPs and the Royal College of Physicians.